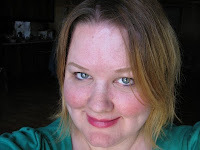 I'm so happy to be a guest on the blog today. Thank you! 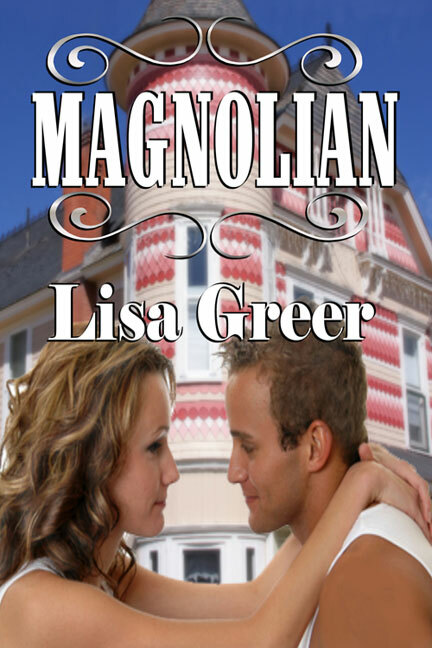 My debut gothic romance novel, Magnolian, is on sale today in e-book format. It's an exciting day for me. I wanted to talk a little about setting today because setting plays a huge role in my writing. I've lived in two countries and four states now, and I'm so happy that I have. Moving wasn't always fun, but I've realized that I have a rich base of experience to draw from because of my moving. I can write about Western Pennsylvania and do it with a genuine voice. The same goes for Alabama, Mississippi, Texas, and Vancouver, BC, Canada. I like to really know the places I write about. One of my pet peeves is reading a novel that has a sketchy setting. My favorite settings are in the South in small towns. When her father dies, college dropout Lillian Mullins steels herself for a future of nothing special in Pittsburgh. An invitation to Magnolian holds promise, but nightmares, ghosts, and murder threaten to derail her attempt to get a life. Lillian heads to the South, leaving Donovan Ross, an angsty potential lover, behind. After she finds her mother's old journal at Magnolian and learns a shocking secret, Lillian resolves to find out what happened nearly forty years ago to her mother's African American lover, Samson Jones. Mysterious accidents and threats make her wonder whom she can trust: her enigmatic distant cousin Willoughby Tate, who is running his father's gubernatorial campaign, her Aunt Lorelei, who warns of a dire future, the ghost who beckons her in the night, or her father's voice in the recurring dream that will not let Lillian rest. I've enjoyed being here! Since today is release day for my novel, I'm giving away a copy of Magnolian. Just tell me what type of setting you like in the comments, and I'll use the Random Number Generator to pick a winner by March 9th at 12pm. Thank you for stopping by Happily Ever After Thoughts. It's lovely to have you here. Magnolian sounds like a great read - I love a good mystery and the ghost who beckons Lillian in the night intrigues me! As for settings in the books I read - I'm not picky - as long as I have a sense of time and place, I'm happy. Lisa - Magnolian sounds like a great read. I do love books set in the South, and what better place to set a haunted mystery? Congratulations on your release. I love a good ghost story! The south does have some amazing history. I went on a ghost walk in Charleston and it was fascinating to hear all of the strange happenings around town. Hi fellow Bookstrand author and welcome!!! Your novel sounds like one I'd like to scare myself to sleep with. And yes, I do think a good setting gives feel for the story. I hope you do one from Canada, too because I don't know of many from that area. That would be intriguing. Hi, Dawn! :) I am planning one in Canada. I think it's next up actually after I finish my current WIP. LOL. You know how that goes! Great...I'll be paying attention to your work! I visited Savannah, Georgia once and toured an old mansion. It was absolutely beautiful. There is just something to be said for Southern charm :-) Unfortunately, as a Yankee, I'm not the best qualified to say it well. Anyone? I like the idea of a book set in San Francisco. It's such an interesting place.